Japanese tech site Hermitage Akihabara has published an article asserting that the launch date for the Nvidia GeForce GTX 950 is 20th August – that's this Thursday. 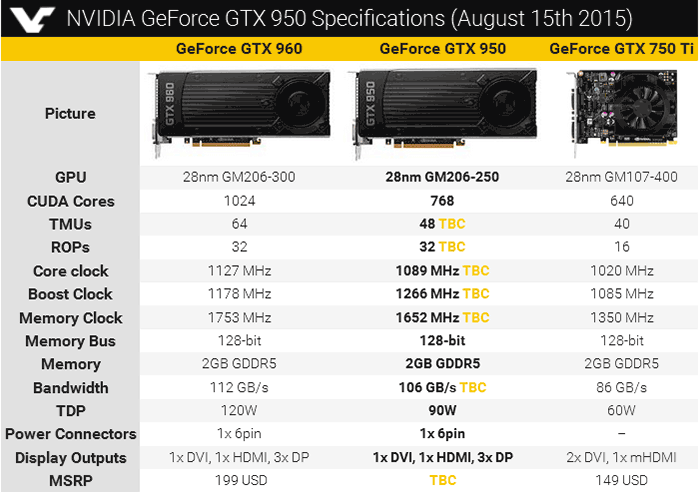 In related news the VideoCardz site confirmed various tech specs of the GTX 950. 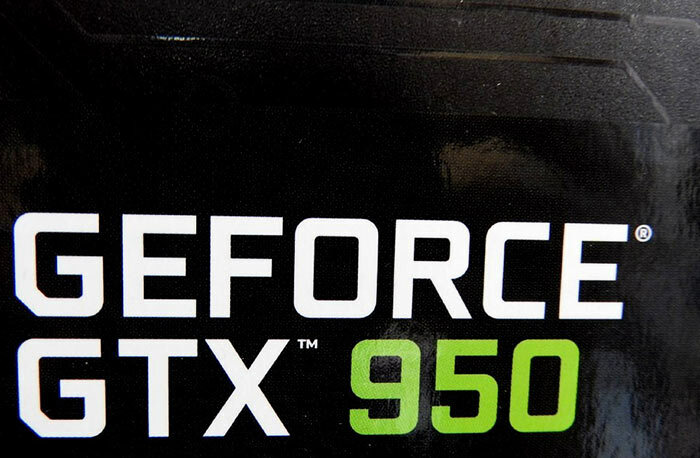 The Nvidia GeForce GTX 950 rumour mill seems to be heating up. After the initial murmurs about the existence of this graphics card in July we got some very clear product and packaging shots last week. That bevy of leaks included ASUS STRIX GTX 950 pictures, premature retailer listings and product/box shots of a PNY GTX 950. As mentioned in the intro, a well known Japanese tech site has said that the launch date for the Nvidia GeForce GTX 950 is 20th August. I can't make much sense out of the machine translation offered by Google, and Bing isn't much different. However, the recommended price looks to be 20,000 YEN (about £100). It also looks like a GeForce GTX 950 Ti could be made available at the same time. Highlights from the above specs are that the GeForce GTX 950 sports; 768 CUDA cores and 2GB GDDR5 memory across 128-bit interface. Its base and boost core clocks are 1089 MHz and 1266MHz respectively while the memory runs at an effective 6.6GHz. Some people will be displeased at this card as a replacement for the GTX 750 (Ti) as with its 90W TDP it requires a 6-pin power connector. 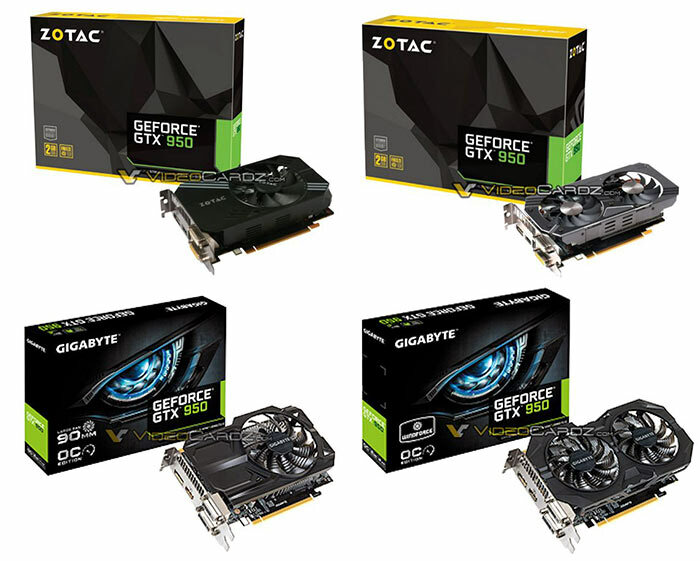 Some more photographic sneak peeks of the upcoming Nvidia GeForce GTX 950, this time from Gigabyte and ZOTAC, were also published by VideoCardz this weekend. I've put the best shots together above. You can see the different coolers installed and that some will be 'OC' models. Some people will be displeased at this card as a replacement for the GTX 950 (Ti) as with its 90W TDP it requires a 6-pin power connector. I think that should read as a replacement for the GTX 750? On topic, not hugely bothered about this card. Currently on a GTX 760 it's more than enough. Nvidia (and AMD) haven't truly inspired in the middle market since the HD7870 (In my opinion). Roll on another forgettable card. Really wanted a new maxwell to match or lower the TDP of a 750, so quite disappointed… Think a 940 GT or something will be coming? It looks like it will be a much higher TDP card than the GTX750 and GTX750TI and consume more power. So it really is not a true replacement for the GTX750 and GTX750TI.